Fat Cops are delighted to announce the release of their self-titled album on 1 March 2019 through Absolute via Universal/Sony DADC. 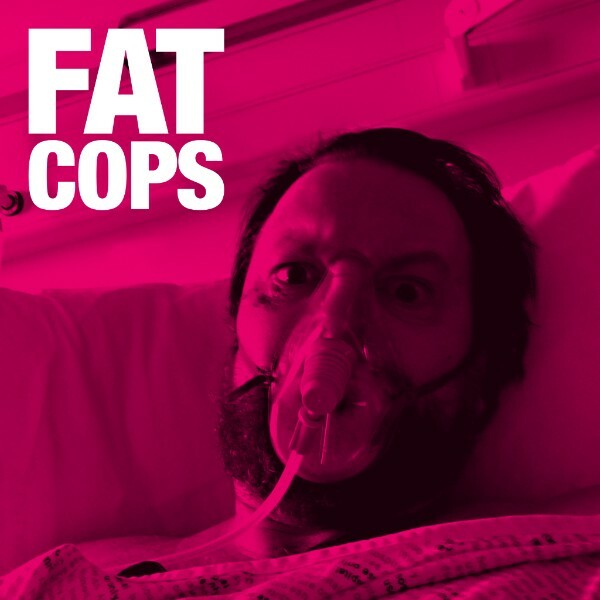 ‘Fat Cops’ features ten tracks, including the live favourite ‘Hands Up! Get Down!’, which was hailed by Mojo as “a hazy summer groove for pants-swingers of all ages” and which features Norman Blake of Teenage Fanclub on backing vocals. Specialising in what they describe as “hip-shakin’, garage-groovin’, punk-glam chaos”, Fat Cops are a six-piece featuring Chris Deerin [lead vocals], Robert Hodgens aka Bobby Bluebell [guitars and vocals], Chris “Bass Chris” Ayre [bass and vocals], Euan McColm [guitars], Al Murray [drums and vocals] and Neil Murray [keys]. Fat Cops were assembled by Bass Chris after he was bequeathed a black Rickenbacker bass guitar by his late aunt, Maggie Gulliver, who played it as a member of legendary 1970s Scottish girl group, The Wee Besoms. During an all-too-brief career, The Besoms appeared on bills with legends including The Ramones, The B52s, and The Cars. 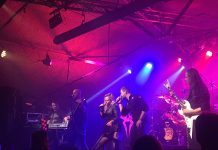 Their sole single, “Good Looking”, is covered by Fat Cops on their debut album, which Bass Chris admits is inspired in places by his aunt’s band. Having brought their ‘magnificent clatter’ (Pete Paphides) to raucous shows at the Edinburgh Fringe and Kendall Calling festivals, and had radio play from the likes of Gary Crowley and Ricky Ross, Fat Cops – who take their name from The Wee Besoms track “Look At All The Fat Cops” – are a much-needed party band in these troubling times. Fat Cops soundtrack a collision between cocksure bravado and crashing self-doubt to thrilling effect.